Few minutes ago we have released Redsn0w 0.9.10 b1 to jailbreak iOS 5.0.1 untethered for iPhone 4, iPhone 3GS, iPod Touch 4G, iPod Touch 3G and iPad. Redsn0w 0.9.10b1 is available for both Windows and Mac. 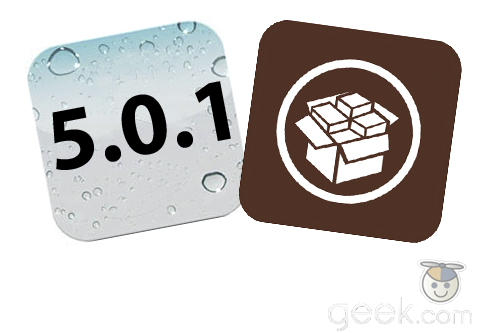 In this post we are showing you full step by step guide to jailbreak iOS 5.0.1 untethered with Redsn0w 0.9.10 b1. Also there is a video below that will guide you to use Redsn0w 0.9.10b1. Follow our guide after the jump. If you have one of those idevices which are supported by redsn0w 0.9.10 b1 and are not on 5.0.1 yet, update now! The SHSH window is still open for 5.0.1 If you unlock via ultrasn0w or gevey, make sure you only get to 5.0.1 via a custom IPSW! Once you’re at 5.0.1, use the latest redsn0w 0.9.10 to both jailbreak and untether. Some of you are using a hybrid 5.0/5.0.1 configuration. If so, do not attempt to install this untether over that setup! You will most likely get into a reboot cycle. Do a sync and fresh restore to 5.0.1 then install the jailbreak + untethered. 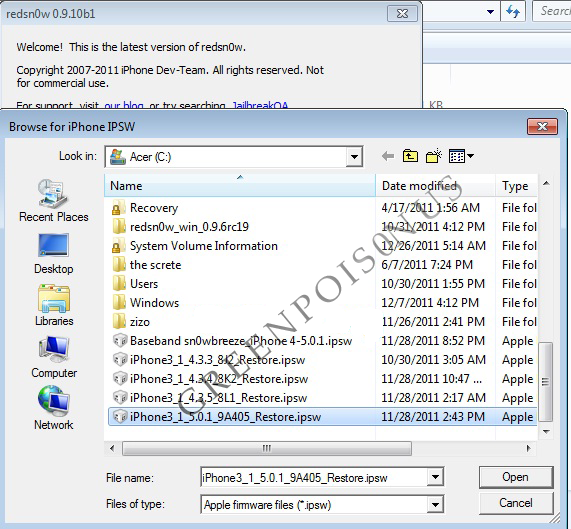 1st: Backup your iPhone, iPad or iPod touch and restore it using the iOS 5.0.1 IPSW firmware downloaded above. 2nd : Open Redsn0w you already downloaded, select “Extras” then “Select IPSW” and browse for the iOS 5.0.1 IPSW file. 3rd : Now click on “Jailbreak” then “Install Cydia”. 4th : You’ll need to follow the on-screen instructions to get your device into DFU mode " for newbies, follow our guide posted here ". 5th : Once done, your device will be rebooted and you’ll get a full untethered jailbreak on iOS 5.0.1. Stay tuned with us on our Facebook, Twitter and Google+ page to get more coverage .